It’s not just Santa Claus who is busy when Christmas is approaching – so is our tech team! Every year, the fourth quarter is a busy period in our tech department – not at least since December and Christmas is approaching. The fourth quarter is a very important sales period for all our consumer tech clients, and in order to support them in the best possible way, we always intensify our PR effort in the last months of the year with concrete Christmas PR activities such as gift guide pitching and coordinating Christmas competitions with key media and influencers. 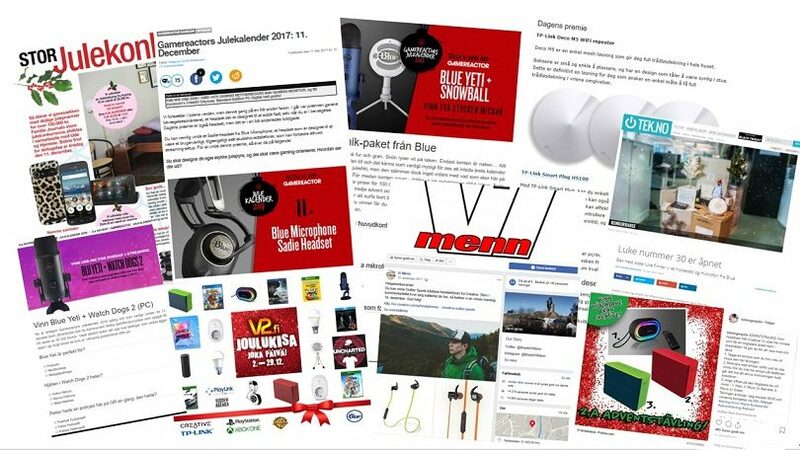 At the time of writing, we have conducted 40+ Christmas competitions in the Nordic countries, resulting in a lot of buzz and visibility for our clients with the purpose of bringing their key products top of mind with consumers in the run-up for the Christmas shopping period. So, if you’re living in the Nordics, make sure to keep your eyes open; throughout December there will be plenty opportunities for getting your hands on cool consumer tech products spanning everything from senior friendly smartphones and intelligent smarthome bulbs to high-quality microphones, innovative mesh solutions and much more.